Golden Pledge Warranty - Taking the risk out of roofing. The GAF Golden Pledge Warranty is the best shingle roof warranty. Not only is it backed by GAF, North America's largest shingle manufacturer, it also back by the Good Housekeeping Seal. This means that if there are any defects in the materials backed with the Seal, they will be replaced by Good Housekeeping if for some reason GAF will not be able to replace them. So when you choose Schwartz Residential to install a Golden Pledge Roof. You are hiring a 105 year old roofing company, installing materials made by a 129 year old company that is back by a company that is 130 years old. This is the safest roofing choice you can make. 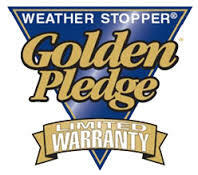 No other residential roofing contractor in Macon, Warner Robins, Forsyth, or surrounding areas can offer you a Golden Pledge Roof Warranty. Because Schwartz Residential Roofing is the only GAF Master Elite contractor in Middle Georgia. We offer the Golden Pledge Warranty with all our proposals as the Premium Option. As a GAF Master Elite Roofing Contractor, Schwartz Residential Roofing is a factor-certified installer of GAF shingles. To qualify as a Master Elite, roofing contractors must meet many requirements, such as a minimum level of insurance, have a proven reputation, and be committed to ongoing training . We are required to maintain a high customer satisfaction rating and training requirement every year to stay in the Master Elite program. Because of these stringent requirements, only 3% of residential roofing contractors in the United States have qualified for this status. 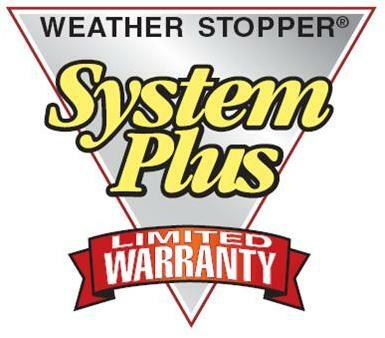 GAF's System Plus Warranty covers the entire GAF Roof System, including the shingles, ridge vent, starter shingles, hip n ridge shingles and other GAF roof components that are installed on the roof. By opting for the System Plus, the non-prorated period lasts for 50 years. This is unbelievable considering most shingle warranties start to decrease their coverage by prorating their shingles after 10 years. The graphs below show how installing a new roof with either the System Plus or Golden Pledge add value to your roof. The great thing is, you can transfer the warranty to a new home buyer. So even if you don't get the full value of the warranty, this warranty can be a very helpful when you sell your home. Have questions about the warranty or need more information. Visit GAF's website to learn more about their warranties.